Being one of the few forms of exercise that is free, simple and relatively easy to do, The College of Podiatry recommends walking as a natural way to stay fit and healthy. Just walking an extra 20 minutes a day will burn more than 3kg of body fat per year, as well as reducing stress and aiding better sleep. 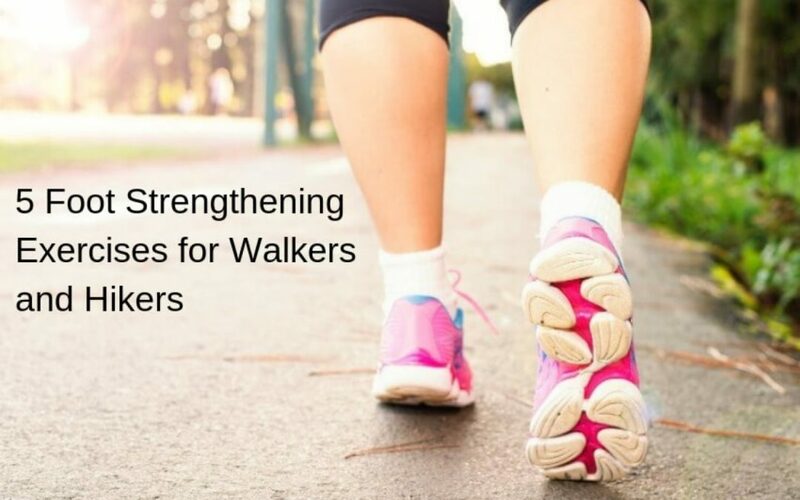 As would be the same for anyone starting a new sport or hobby, it’s likely that those new to walking for exercise or hiking may experience some early discomfort. Symptoms of common foot issues such as ingrown toenails or Plantar Fasciitis can be exacerbated by exercising in ill-fitting footwear, while unusual aches and pains in the lower limbs may be due to an uneven walking pattern or posture. When beginning a new sport or fitness class, there are always exercises or practices that will improve your performance. The same is true for walking and hiking. Here are some foot strengthening exercises, designed to prepare your feet for your next hike. Always remember to consult your general health practitioner before commencing a new exercise regime. The repetitions below are only a guide – doing less or more depending on your fitness is completely acceptable. Start with a simple warm-up routine. Sitting on a chair, raise your left foot off the floor and rotate it in a circular motion from your ankle, clockwise for 15-20 turns, then anticlockwise for 15-20. Repeat with your right foot. In the same position, left foot first, flex and point your toes 10 times with your foot raised off the floor, then repeat on the right. Stand with your feet together. Step back with your left leg, keeping your toes on the floor and raising your heel. You will feel a stretch to the muscles in the soles of your feet, so hold this for 20 seconds. Return to standing and repeat on the right-hand side, stretching both sides 5-10 times. Place a flannel or small towel flat on the floor. Stand up straight with staggered feet, your front foot on the towel, with your knee slightly bent. Keeping your back leg straight, use your toes on the front foot to scrunch up the towel, then release. Repeat on both sides 10-15 times. Sit with your legs straight out and together, resting on the floor. Loop a towel around the soles of your feet, holding it at both ends. Gently pull the towel towards you, feeling the pull of a stretch behind your ankles. Hold for 10 seconds and repeat up to 5 times. To strengthen your whole foot and lower leg area, sit on a chair with your feet shoulder width apart. Both feet at the same time, first lift your toes off the floor, then the rest of your feet, keeping your heels on the ground. Hold the lift for five seconds, then lower your feet, then toes back to the floor. Repeat 10-15 times. At Feet By Pody, we offer the full range of podiatry and chiropody services. If you’d like a foot health check before starting a walking regime, or any form of exercise, book an appointment at one of our London surgeries today.